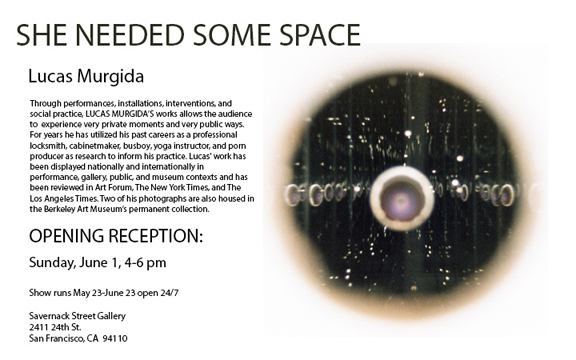 Installation can be seen through the peephole atÂ 2411 24TH StreetÂ SF, CA, 94110 24 hours a day, seven days a week from May 23rd-June 23rd. Â The Savernack Street Gallery is the Brain Child of Carrie Sinclair KatzÂ . Â Opening Sunday June 1st from 4-6 PM.